Architectural classes are helpful in organizing Stone Legends vast assortment of architectural cast stone into similar look and feel groups. Rolling the mouse pointer over an Architectural class will display an example for that particular class of Architecture utilizing how cast stone can be used within that style of architecture. Imagine our Texas Stone grouped and classified like the Greek and Roman master works such as the Acropolis or Coliseum. We have organized our cast stone products into many of the historical and modern day classical architecture styles. Our local Dallas clients and world wide customers agree that they are usually starting with such broad concepts as Mediterranean or Spanish Eclectic at the start of their design projects. We offer literally hundreds of options to choose from when purchasing cast stone and pre-cast concrete products having that certain look or feel to them. Stone Legends keeps adding products, types and variations based on function, styles and families. This helps you have as many options as possible stored in our database and in our Dallas warehouse of molds and patterns. Browse our growing list of Historical Architects that this Texas based stone company can identify products with. Have a need to have stone designed to fit a concept or style contact our design consultants for a free consultation. From Frank Lloyd Wright to Feng Shui, Texans looking for unique, classical or contemporary pre-cast concrete utilizing artistically detailed cast stone seek out Stone Legends for the tough tasks. 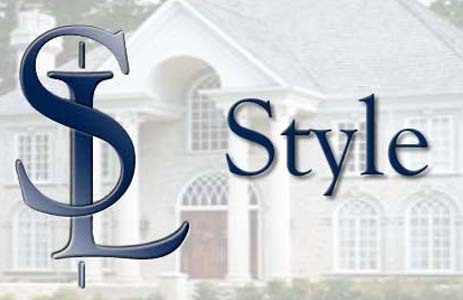 The use of style to approach a project helps keep the design influence and personal preferences in order without having to go through the exhaustive cast stone product list and hand pick items that may or may not match with a concept. Our company works hard to maintain approaches to product selection that make the job easier for the customer. Regardless of weather you�re a Texas oil tycoon or a prospective Dallas home builder; our product list and local Dallas factory can make your cast stone product needs a reality. Don�t see a style or architect in our list? Contact our sales agents so we can add to our list of styles or check back as we add more styles on a monthly basis. Contact Us! See what more we can do for you and how we might save you Time, Money and make your cast stone purchase a memorable one. Our Sales staff can assist in various design options and help in selecting stone products to suit demanding architectural stone needs.